Calligraphy means beautiful writing. Beautiful writing is what Jacques does at Hyegraph Invitations & Calligraphy at 3 Embarcadero Center in the Financial District of San Francisco. He’s been creating beautiful fonts since his college days at UMASS Boston in Massachusetts, where his theses for a project involved creating the Armenina Fonts Digitally for a computer program. He then started taking on jobs for local churches, in the Bay Area, to create flyers. Consequently, parishioners started requesting his services for Armenian Wedding Invitations. So that’s what Jacques Oskanian, owner and creator of Hyegraph Invitations & Calligraphy has been doing for over 25 years since settling in the San Francisco Bay Area in California. 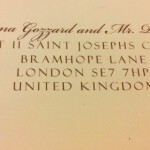 Jacques uses high end printing companies from the East Coast, West Coast and internationally to provide the latest designs and printing techniques resulting in original, high end wedding and party invitations with beautiful envelope addressing calligraphy. 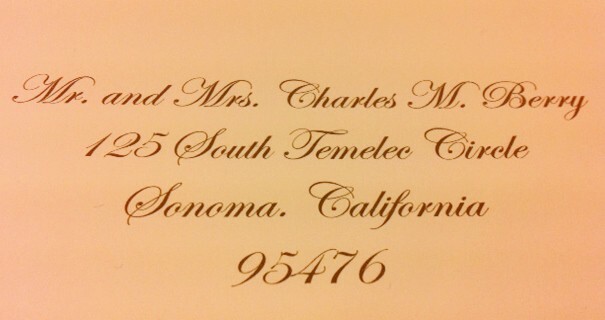 The above example of Calligraphy by Jacques is in Edwardian Script for Envelope Addressing of an Invitation in Sonoma, California. 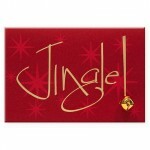 Black ink Calligraphy is $1.00 per Envelope and Colored Ink Calligraphy is $1.25 per Envelope. Please come in to Hyegraph Invitations & Calligraphy located at 3 Embarcadero Center in the Financial District, San Francisco to pick out your Calligraphy Style, Menu Cards and or Place Cards. Also at Hyegraph, we help you design your Holiday Calligraphy or any other Calligraphy Services you may need like wine labels, wedding certificate calligraphy or any other custom calligraphy service. Please email us with inquiries, call us to order or come in to see our Calligraphy styles in person at our store at 3 Embarcadero Center, San Francisco, CA.